...see London like a local! In this London Tourist Guide I'll reveal insider tips for the best London vacation possible. London is one of the world's greatest cities. The list of tourist sites is literally endless. Imagine planning a vacation where you get to see all the best attractions and some lesser known hidden treasures. Fantastic huh? You can think of me as your 'Insider'... your Local Londoner. And, I'm not only going to guide you around the city and tell you about the best London Attractions, I'll save you time, stress andbucket loads of money along the way. With so many things to see in London, planning a vacation here can be a little daunting. London offers attractions that are literally endless and I want to make sure that you experience as much as possible, have a great time and leave with an appetite to return ASAP. I'm going to share with you some lesser known London travel tips... Stuff you won't find in the official London guide. I'll show how you can save 100's on London travel and that's before you event get to your hotel! There's no reason you should pay full price admission to London musicals or for London tours. I'll promise to show you a dining experience that you will talk about for years to come. Looking for an unusual or unique hotel? No problem I've got you covered. For those who fancy a cocktail or two after a long day out and about in London, you'll be chaperoned to a world class underground bar. But be prepared to look hard, there's no signage, just a blank door. I've put together loads of tourist information for you that's all easy to read and digest. 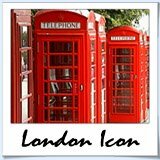 It not only includes London travel advice, but all the essential info for each of the places you'll visit. Some of my most memorable travel experiences have been those where a local has provided a recommendation. You know the ones, that lesser known restaurant, the ultimate people watching spot, the bike tour that operates solely on referrals... These are bits of magic dust sprinkle throughout the London Attractions Guide. Vacationing in London is a pursuit of endless joy. I'm really excited you're visiting this special city. Get stuck in, get planning and find your magic in London. Would you like to share your knowledge about keyphrase? 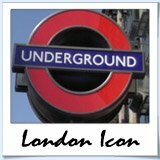 Contribute to www.london-attractions-guide.com!